''City on top''by A Future Perfect. 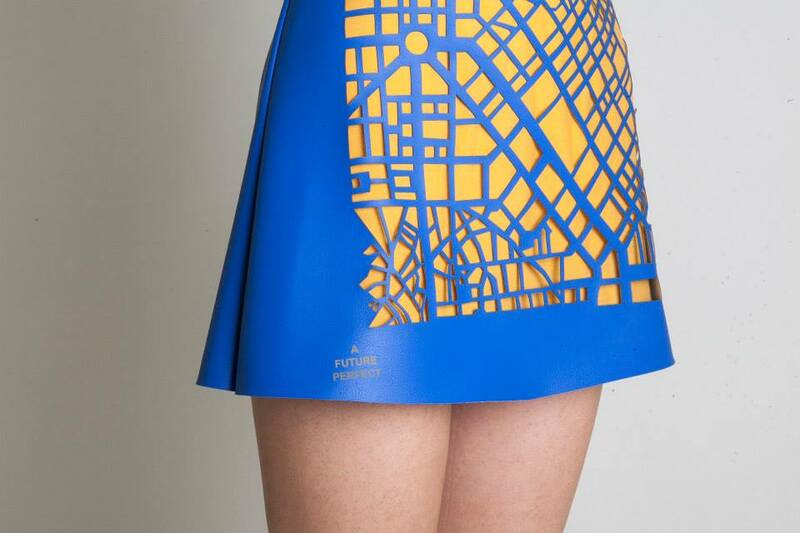 City on top is a statement cloth, designed for the contemporary city lover. The creative duet A Future Perfect reveals once again their architectural background; following the ongoing collection The Concrete Cities, where favorite cities are mapped in highly detailed concrete coasters and wall pieces, they transfer the urban fabric and structure onto the human body. 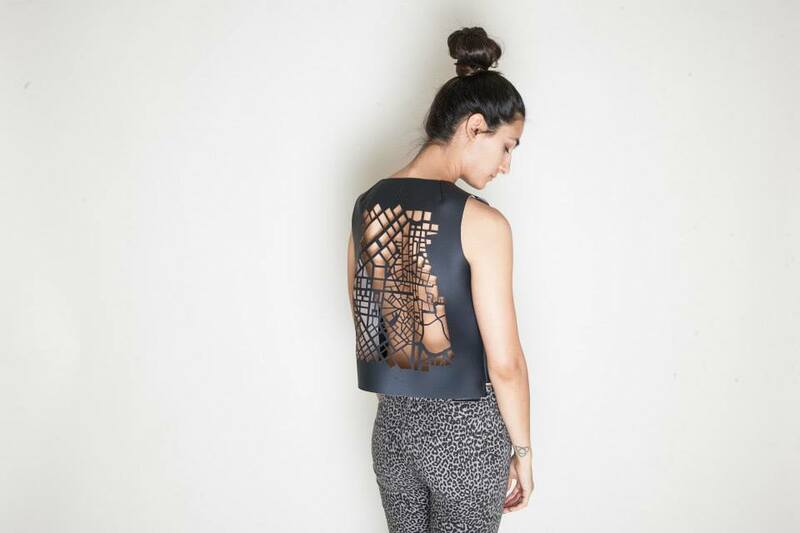 High quality and fine texture synthetic leather, is laser-cut and shaped to create a futuristic form top that surrounds the body, like the city actually does: being protective, yet letting the body breathe, stand rigid, yet allow for flexibility. The cities, much like the inspiration, are endless. While starting off with the dense and complex Athenian urban plan, new cities’ patterns, materials and various applications on a series of clothing pieces will be expanding the collection soon.